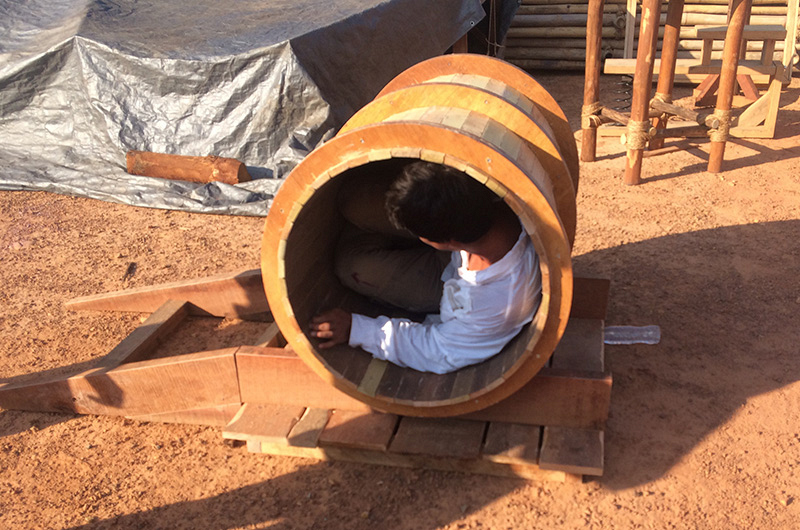 In the original "In The Barrel" Reward Challenge, tribes were forced to crisscross each other on an open course. However, with three tribes competing this season, the course was kept linear to maintain fairness. Barrels like the one pictured above, took two carpenters four days to custom build. Plus, it took seven people three days to completely clear this location known as "Jedi 3" before the challenge could even take place.